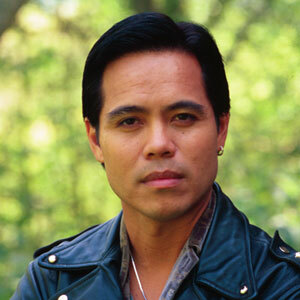 Evan Tlesla Adams is a Coast Salish actor and writer from the Sliammon Band near Powell River, British Columbia, Canada. Evan is a full-scholarship alumnus of St. Michaels University School and of Lester B. Pearson College of the Pacific, both of Victoria. He stars in the Emmy-winning TV-movie Lost in the Barrens and its nominated sequel Curse of the Viking Grave. Besides numerous episodics like The Beachcombers and Black Stallion, he also appears in the feature film Toby McTeague and the FOX-TV movie Lakota Moon. On the stage, some of his highlights include the role of Edmund in Women in View's Lear, Creature Nataways in the Arts Club Theatre's production of Dry Lips Oughta Move to Kapuskasing, and Jamie in Headlines Theatre's Mamu. In 1988, Evan's original play Dreams of Sheep was selected as one of Canada's entries to the International Festival of Young Playwrights in Sydney, Australia. He also wrote the award-winning audio tour of the First Peoples Gallery at the Royal British Columbia Museum in Victoria. Two of his plays, Snapshots and Dirty Dog River (co-written with Marie Humber), have been presented in more than 300 communities in Canada, the United States, New Zealand -- and even into Africa -- since April 1989. Snapshots was also published by V�hicule Press in the anthology A Leap in the Dark: AIDS, Art and Contemporary Cultures. "Janice's Christmas," originally written for the New Play Centre's 1992 production of Voices of Christmas, appears in Theytus Books' anthology Gatherings IV. Evan has kept close ties with his Coast Salish roots. His competitive and traditional styles of Native dance have taken him touring across Canada and Europe, and into collaboration with the Karen Jamieson Dance Company of Vancouver. He does Raven's Tail weaving, some of his work in this ancient style appearing in Cheryl Samuel's book Raven's Tail. In July 1990, Evan received the name "Tlesla II" by his family and band elders, the first time in 50 years that such an honor has been given. At the same time, he received the name Kit ta ladzi, ("big fire") from the Kwakwaka'wakw people of Alert Bay. Evan has scripted a half-hour program for the CBC anthology series Four Directions called "My Father's Son" and has recently completed two other screenplays: Stonefaces for Wild Bunch Productions of Vancouver, and Seagull, co-written with Anne Cameron. His new one-man show, Son of Raven, has received staged readings at the Museum of Anthropology, UBC and at the XV Commonwealth Games in Victoria. Evan starred as Thomas Builds-the-Fire in ShadowCatcher Entertainment's Smoke Signals, written by Sherman Alexie and directed by Chris Eyre. Smoke Signals won the coveted Audience Award for best film, and the Filmmakers Trophy when it premiered at the Sundance Film Festival in January 1998. He also won Best Actor awards from the American Indian Film Festival, and from First Americans in the Arts, and a 1999 Independent Spirit Award for best debut performance. Evan most recently served as the host of the Aboriginal Peoples' Television Network's top-rated show Buffalo Tracks, and appeared as a regular on the CBC's nighttime TV series These Arms of Mine. Aside from his career in the arts, Evan is currently in his final year of medical school at the University of Calgary.